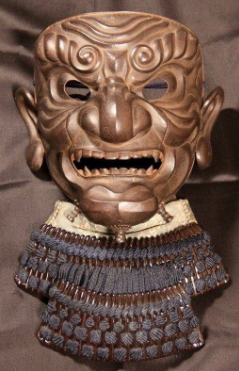 Samurai masks, called mempo, were facial armor worn by Japanese Samurai warriors. They were made out of leather and iron and were designed not only to protect the warrior’s face but also intimidate their enemies. Samurai were warriors that would dedicate themselves to a master (usually someone of wealth and influence) for a lifetime of service. Their conduct and lifestyle were built around Buddhist and Zen philosophy, so they were seen as a military force and as a Japanese social class. 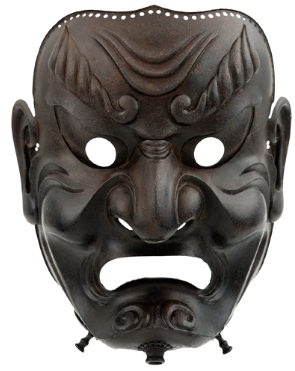 Masks that were an important part of Samurai armor centuries ago are now prized collectable art. The masks started with basic features, such as twisted smiles and large noses, but overtime they developed and included some original features, like removable fangs, noses and additional chins. They would make quite a halloween costume! 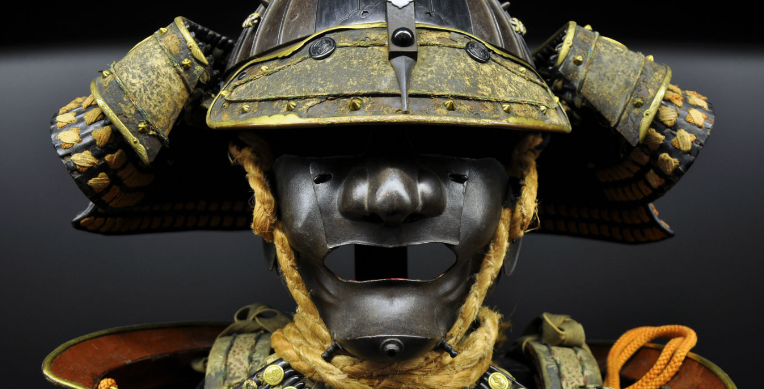 The masks were effective in protecting the Samurai from facial injuries during battle. 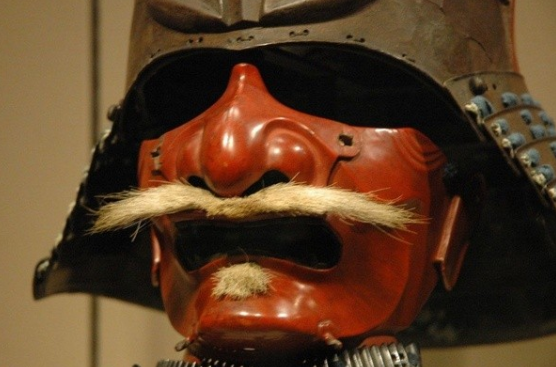 These practical disguises also became a fearsome sight across Japan and beyond. 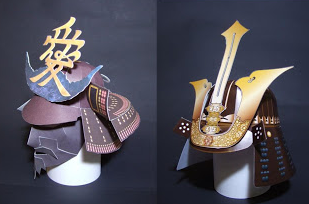 Imagine, you are fighting in the battle of Sekigarara in 1603 (a battle that brought a period of peace in 16th century Japan), and an army of warriors approach wearing these twisted pieces. I know I would be doing my best sprint in the opposite direction! 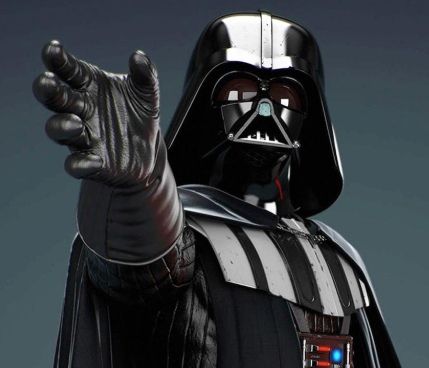 In fact, the fear these masks instilled in history can still be seen in the media today; the Samurai mask inspired the look of the infamous Star Wars villain, Darth Vader. 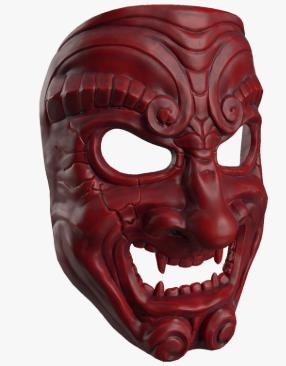 It’s unlikely you’re going to be able to make a real Samurai mask, but you can have a lot of fun making your own version from paper mache or a paper plate! 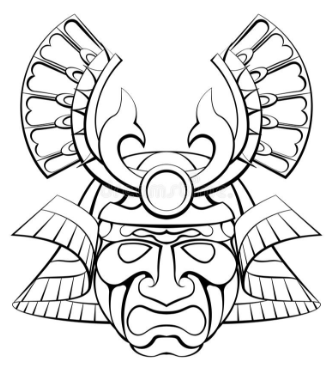 You can simply draw and color your design on a paper plate, cut it out, and fasten it to your face for a quick and creative way to become a Samurai. 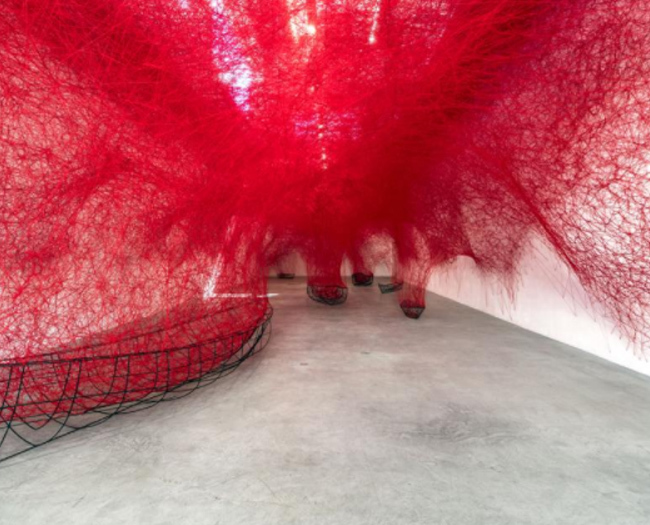 As always, let us know how it goes and share your work with us. Use the form below or tag us @ArtsmithNY on Twitter, Instagram, and Facebook and use the hashtag #ArtsmithJABS.